A new symbol has appeared at Calvary Chapel Costa Mesa (CCCM). Some may be wondering if this new symbol will be replacing the Calvary “dove” that has symbolized Calvary Chapel for decades. 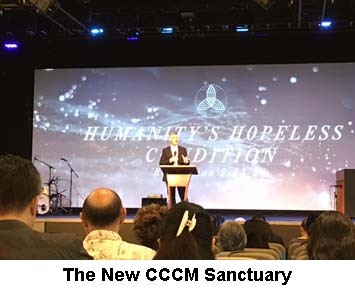 For now, at least, the dove logo seems to have gone “undercover” on the back wall behind the podium at CCCM and replaced by another symbol projected on the wall. Those who attend Calvary Chapel Costa Mesa will have seen it and know what I mean. Or if you receive ”tweets” via Twitter from Brian Brodersen, Chuck Smith’s son-in-law, you will have seen the new symbol. 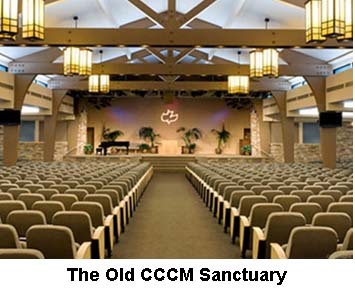 Brodersen inherited the pulpit at Calvary Chapel Costa Mesa because of his marriage to Chuck Smith’s daughter, Cheryl. Since Pastor Chuck passed away, many changes have occurred at CCCM as the “new Calvary” replaces the “old Calvary” under new leadership. Note the symbol at the top center behind Brian as well as the absence of Chuck Smith’s pulpit. This symbol is commonly used for the trinity in Catholic and some Protestant settings. Below, you can see an enlargement of the graphic. In a later commentary, I will present documentation to show the origin of this symbol. Testimonial evidence regarding the history of Calvary Chapel provides interesting insight on the origin of the dove as a logo and how it has been used to represent the Calvary Chapel movement for years. This information is based on the testimony given to me from someone I know personally who explained how the first dove was designed and how it changed over the years. Originally, the dove was designed by a graphic arts designer who worked with a group associated with Calvary Chapel of Costa Mesa known as the Maranatha Evangelical Association. The dove was first sketched on a piece of tissue paper and was later stylized. This dove image later became the logo associated with Calvary Chapel Costa Mesa. The dove later became the well-known symbol used by churches in the Calvary Chapel movement throughout USA and then around the world. 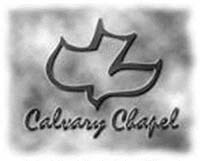 The majority of Calvary Chapels still use the dove as a logo to show they are an affiliated Calvary Chapel church. While Calvary Chapel leadership has always claimed it is not a denomination, the usage of a specially designed symbol—the dove—has certainly set this association of Calvary Chapel churches apart and distinguished from other groups. Later, this same dove became the logo for Maranatha Music. 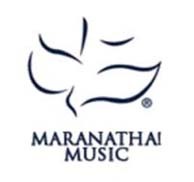 When Calvary Chapel Costa Mesa sold Maranatha Music to Chuck Smith’s nephew and three other men, an agreement was made to design a new stylized dove that would represent Maranatha Music. The dove below shows the changes that were made. I know the graphics artist who made these changes. 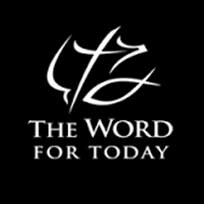 Later, a third version was designed for the Word for Today, Chuck Smith’s media ministry. Further modifications were made. This brief explanation should help to understand why there are three doves associated with the history of Calvary Chapel and also why the dove is so important. It appears that Brian and Cheryl Brodersen and the “new Calvary Chapel” they are striving to have a plan for reinventing the Calvary Chapel movement. There are a number of changes they have already implemented indicating their new model is underway. The staff has been overhauled and many long-term employees “let go.” Many church members who had attended CC Costa Mesa for years have left and found other places to attend. What were once the “Calvary Chapel Distinctives” have been overhauled, and the strong emphasis on Bible prophecy has become a dim memory. Could it be that a new symbol is going to replace the old symbol? Will the dove end up in a religious museum, or will it remain the bond that ties Calvary Chapels all over the world with Calvary Chapel Costa Mesa, the mother of Calvary Chapels? Some are asking the question: what next? I still know a number of Calvary Chapel pastors whom I consider to be my friends. Some of them are very concerned regarding the changes being made at Calvary Chapel Costa Mesa and the diverse directions the movement seems to be heading. No longer is there a cohesiveness there once was. The annual Senior Pastor’s Conference that once took place at the Calvary Chapel Murrieta Hot Springs Christian Conference Center and was packed out, no longer happens since Chuck Smith passed away. Now in its place, pastors and assistant pastors are invited to Calvary Chapel Costa Mesa instead. Some are saying that they have attended their last conference at Costa Mesa. Is this a sign of what is to come? There is a concern that the “old ways” of teaching the Bible have been replaced by a more “postmodern” mindset. The once biblically focused Calvary Chapel movement under the leadership of Chuck Smith seems to be headed toward a more ecumenical and purpose-driven model. While many pastors are concerned, they are not sure what to do. 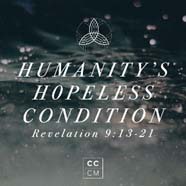 Perhaps CCCM’s use of this new trinity symbol will trigger a watershed event in the Calvary Chapel movement. Maybe some will see this as a time to make a decision. 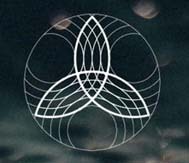 Will they follow Brian Brodersen’s lead and begin using this trinity symbol as well? Or will they choose to walk away from symbols and logos that associate them with any particular group and just follow “the Good Shepherd” Jesus Christ rather than be influenced by human ideas and associations that tend to develop into denominations or worse yet, franchises with logos like the big “M” at Mc Donald’s. While there can certainly be strength in associations of like-minded believers, and in and of itself, there is nothing wrong with certain logos for identification, associations made up of shepherds promoting diverse ideas of what Christianity is all about only produces factions and divisions that confuse the flock. The Scriptures alone are what we need as a focus of fellowship. Who Really Owns the Calvary Chapel Name? There is something Calvary Chapel pastors need to consider, something most may not have ever thought about. 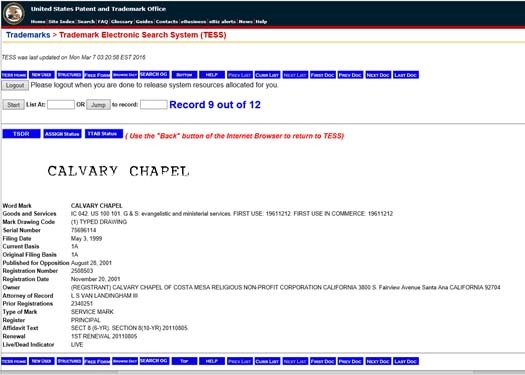 According to the U.S. Patent and Trademark Office, the name “Calvary Chapel” is owned by Calvary Chapel Costa Mesa (as you can see from the photo image below). This means that every church name that has the words “Calvary Chapel” in it belongs to Calvary Chapel Costa Mesa (of which Brian Brodersen is chairman of the board and senior pastor). The implications of this could be staggering. Does this mean that Calvary Chapel Costa Mesa can decide who keeps the name Calvary Chapel and who doesn’t? Technically, and even legally, according to U.S. Trademark laws, the answer is yes, and the implications could affect many Calvary Chapel churches as Calvary Chapel pastors will need to decide who they are really following. In these important last days, I pray many pastors in the Christian church (not just Calvary Chapel) will come out from anything that stands between themselves and truth and take a stand for what they know to be the truth, irrespective of any banner or logo.